Gaston provides an excellent tour. He is very knowledgeable about local birds, flora and fauna. Very personable. He is an avid birder so knows local species and locations. Loved this tour! We had a little challenge finding Gaston getting off the ship (not his fault but confusion on where we were coming off by the ship) but connected via cell phone and got started right away. Gaston had a very clean and comfortable vehicle and we quickly made our way to Tierra del Fuego to beat most of our Celebrity ship tours. We really enjoyed the walks in nature and probably would have preferred more time to enjoy the beauty. We then saw the highlights of the city and were left off in town by our request. We had a great day with Gaston. He was very knowledgeable about Ushuaia and he had a true love for his town and country. It was great that he would rearrange our stops according to how many large tour busses were at the stop. That way we would avoid being there with large amounts of people. I would totally recommend Gaston to anyone who is visiting Ushuaia. We found Gaston to be highly knowledgeable about flora, fauna, history and geology of the park. he also gave us an interesting tour of Ushuaia. He is highly friendly and adaptable. We highly recommend Gaston to be your tour guide. A very pleasant, knowledgeable individual who is fluent in English as well. We are so grateful as he did more than we could expect. We met him as soon we stepped off the cruise on 02/07/2019, while he had a clear plastic folder and printed my name on it while he drove slowly along the ship. Our arrival in the NP was early before the big buses with crowd arrived and allow us to enjoy the tranquility and stunning beauty of the NP with the birds. We thoroughly enjoyed our tour to Tierra del Fuego with Gaston. He was very knowledgeable and enthusiastic. He made sure we got all the photos that we wanted and never rushed us at all. He answered all of our many questions and catered the tour to our likes, dislikes, and abilities. We would definitely recommend him to others. Gaston is professional and knowledgeable. He was early for our pickup so we did not have to wait. His love for the area made a very enjoyable day. We would highly recommend him. This tour was excellent. Gaston took us to several locations where he knew many of the passerine species (small bush birds) would be present. These locations were both within and outside the national park and covered a range of terrestrial and aquatic habitats, which enabled us to observe a large number of species. We also had the opportunity to photograph many species at a leisurely pace. The transportation was excellent and Gaston's wealth of knowledge was first-class. Highly recommended. Gaston provided us with a very interesting, educational, and fun tour of Ushuaia and the Tierra del Fuego National Park area. He was very engaging and well versed in the history, culture and natural resources of the region. He was very knowledgeable regarding the area's birds and wildlife, and is appropriately passionate about their conservation. A first rate customized tour at a pleasant pace and with insights that only a local could provide. Would recommend him to anyone visiting Tierra del Fuego. Gaston was an excellent tour guide and gave us a real Ushuaia experience. We loved visiting the winter arena and playing with the huskies. It was one of the highlights of our South America trip! If you are a dog lover - you will truly appreciate this unique experience. We also were blown away by the scenic views and history of the area. We felt very fortunate to have such an incredible knowledgeable guide to show us around and make our visit so memorable. Gaston was simply fantastic in every way. Very prompt with pickup and a careful driver. He took time to explain features of the area and wildlife including backing up the vehicle because we thought we'd seen a beaver! 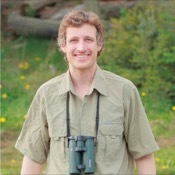 He is extremely knowledgeable and passionate about wildlife and the region. He really brought the area alive for us and made it a very enjoyable excursion. i have no hesitation in recommending him. Thank you Gaston! Gaston was the perfect tour guide for Ushuaia and the Tierra del Fuego National Park, as it was extremely obvious that he loved walking, nature and obviously the National Park. We visited the expected locations, but unlike the coach tours we did a lot of walking too. His English was excellent and we loved his stories and anecdotes. His car was spotless and water was provided. Thank you Gaston. What a terrific day we had with Gaston as our guide in this beautiful part of the world! He guided us for a very thorough tour that met all of our expectations. Great tour guide. Very knowlegeable. Gaston is a bright and entertaining guide with excellent communication skills and a keen sense of humour! He is most personable and is great company. His knowledge of nature is vast as was displayed on the walking tour. He went out of his way to make the day a very memorable experience for us. Highly recommended. Gaston was great - both personable & knowledgeable. Really enjoyed his tour! Gaston, was a great guide. He was well versed in all areas ranging from geography, history, trade, populations etc. Gaston had expanded his tour package to include sights we requested. He was gentle and kind in his demeanor as he watched out for our welfare-communicating with the locals to ensure advantages as well as our comprehension. He was able to highlight different aspects of the area always seeking areas of interest to our group. Gaston was a wonderful guide. We were fortunate to have his lead. Gaston was very accommodating after our ship itinerary changed. He met us on time and made sure that we got to all the scenic spots in Tierra del Fuego park before all the bus crowds arrived. He also took us on a tour of the town of Ushuaia and helped us find a restaurant in town that we enjoyed very much. He was very informative and we were glad that we had chosen a private tour instead of the ship excursion. Our family had a fabulous day with Gaston at Tierra Del Fuego National Park. He extended our understanding of the area by teaching us about the flora, fauna and geology. Brilliant. Thank you. 5 out of 5 stars for my tour on Gaston on December 23, 2017. Had a wonderful day with this knowledgeable and outgoing guide. Absolutely super experience. Gaston met me as my cruise ship came in and we spent every possible moment birding the Tierra del Fuego NP and areas around Ushuaia. It was more like hiring with a friend than a guide. HIghly recommend. TOUR GUIDE RESPONSE: Tim, it was really a pleasure having you here! Thanks a lot and Buena suerte!! Gaston provided a most pleasant tour--both of the town of Ushuaia and its surroundings, as well as to the Tiera del Fuego National Park. He is very knowledgeable, especially about flora and fauna, but he also listened to my requests to learn about the indigenous Yamana and Selknam. The history of the indigenous communities and their links with explorers and missionaries is also very interesting. Gaston maximized my time in port and ensured a timely return to the cruise ship. Muchisimas gracias. 6 out of 5**s. Gaston was most superlative. Knowledgeable, excellent guide. Pleasant to be with. Enthusiastic. Anticipated the wants and needs of his clients. And a great new vehicle. TOUR GUIDE RESPONSE: Thank you very mucho!! All the best. TOUR GUIDE RESPONSE: Thank you very much Norma! Have a wonderful voyage to Antarctica! Gaston was AMAZING! He was so knowledgable about ecology and biology and he was an absolute expert birder. Gaston was also super flexible. We wanted to spend more time in Tierra del Fuego than Ushuaia and he was able to accommodate. He also managed to combine birding (for me) with hiking and scenery (for my husband). I would recommend Gaston to any travelers who are looking to get a true taste of nature and who wish to avoid the crowd of the tour bus! TOUR GUIDE RESPONSE: Thank you very much for your kind words! It was really very nice having you here. More important than his extensive knowledge of birding and the local area was his ability to effortlessly adjusted our itinerary to reflect both our physical needs (not as young as we used to be) and the changing weather conditions. The result was a throughly enjoyable experience and photographic memories of both the wildlife and scenery. Knowledgable guide on area and birds. Very enjoyable tour and friendly guide. Thank You Gaston! Ines provided our group with a wonderful tour. She is a delight and very knowledgeable of her country and wildlife. The driver, Fabian, was also excellent. We would highly recommend using them. Excellent tour and guide. Extra time and effort spent to cover the area. Identified our objectives and fulfilled them. Gaston was an excellent guide. We enjoyed our short tour with him. Our ship was leaving earlier than expected so tour had to be cut short. We expected to see more wildlife while touring Tierra del Fuego. Nice drip edge but nothing special. We appreciated that he respected our desire to be back to ship plenty early. Perhaps if we had the time to see the prison we would have felt more fulfilled. Very well informed and interesting guide who loves his job and is willing to pass on his knowledge enjoyed our time with him greatly. Gaston provided an excellent tour of the area and his knowledge and enthusiasm for the the natural environment and wildlife of the area was superb. We were treated to some wonderful sights of the wildlife in the park and finished our visit with an excellent tour of the city and surrounding areas. Gaston's commentary throughout was excellent and he never hesitated in answering any of our questions. I would highly recommend this. Gaston escorted us in Ushuaia, showing the flora & fauna of Tierra del Fuego with expertise and enthusiasm. His consideration for our special needs & his kindness and generosity made the trip satisfying and comfortable. His commitment to serving our needs was gratifying. His gusto about his job is very evident. Gaston was a great guide and had a well planned itinerary ready for us. Because of this we were able to beet or bypass the majority of the other shore excursions and big busses making it a much more pleasant experience. I also had an issue with a broken part to my camera and Gaston helped me try to replace it by diverting our tour past a couple of camera shops and helping with the language barrier I faced. We are wildlife photographers and booked our trip with Gaston B. He has a large, comfortable van, and met us 10 mins early at our hotel! We had a wonderful day, his knowledge of the area and the birds was stupendous. He can make bird calls to entice different species and was even able to find us the elusive Magellan Woodpecker, a highlight! He is personable knowledgable and speaks English fluently. He catered to our every wish and made our Experience well worth the expense. We highly recommend Gaston! Gaston was an excellent, knowledgeable and very enjoyable company, we saw many birds - especially Magellanic woodpecker, black-faced ibis, ashy headed goose , Andean Condor and more - 31 in all. He has excellent English and was responsive to our requests. Very good local beer, cheese and sausage to round off the day. Great start to a holiday moving on to Antarctica. We had a 5-star experience with a terrific guide. We saw almost everything we were hoping to see (and more), which is remarkable for a half-day outing. We really enjoyed our time birding with Gaston. His English is very good and his knowledge of the birds and their locations in the area was top notch. We loved the scenery and area in general and would highly recommend a visit and birding with Gaston. Gaston really knows the area, the ecology and the birds. So many have to be located using bird calls and he can identify them all. We had fabulous weather and saw an incredible number of birds. We had several non-birders in the group who thoroughly enjoyed the bird watching and hikes through the national park. This is the nature tour you should take! Gaston was an outstanding tour guide, who was not only knowledgeable but engaging. He is one of only a few guides licensed by the Government, the rest our operating illegally (and I imagine with less quality). Also, he had gone through special permitting to be able to drive on the dock and pick you up right in front of the cruise line. Strongly Recommend. We totally enjoyed our day with Gaston! His flexibility and desire to personally make our day awesome.was beyond compare - from the train ride to all the incredible vistas, each one an incredible photo opportunity - that he happily took for us! Great day and great memories! TOUR GUIDE RESPONSE: Thanks for your comment! Regards! We had a fabulous day with Gaston. We were particularly impressed by his depth of knowledge of both the environment and the town as well as his willingness to share his experiences with us. I highly recommend Gaston's tour in Ushuaia. TOUR GUIDE RESPONSE: Thank you very much!! What a great tour! We had time to stop & go as we wanted and saw so much more than everyone on our cruise ship that took a cruise tour! Comfortable car and very knowledgeable guide! Gaston gave us a great tour of the lakes and the beautiful areas outside of Ushuaia. He gave great background on the history of the area as well as the plants and animals of the area. Even though we had an early start we were able to get ahead of the tour buses and had a beautiful morning together. Thanks for showing us some of the different neighborhoods in town. TOUR GUIDE RESPONSE: Thank you very much!!!!! Gaston is a fun, enthusiastic guy who knows everything about nature! If you are interested in a hike and learning about Tierra del Fuego National park and it's plant and animal life, he would be the perfect choice! We learned so much from him and enjoyed our time with him. TOUR GUIDE RESPONSE: Many thanks!! TOUR GUIDE RESPONSE: All the best! Many thanks!! Gaston truly understood our interest in birds and the natural history of Tierra del Fuego. We spotted over 20 bird species - highlighted by a nesting pair of Great Grebes, 3 Magellanic Woodpeckers and a large flock of Austral Parakeets. Gaston's English is excellent. He clearly has great depth of knowledge of the natural history of Tierra del Fuego and enthusiastically shared that knowledge with us in a carefully planned tour. We highly recommend Gaston. Gaston showed us a good part of the surrounding area but was a little late for the start of our tour. It all worked out, we just had to improvise a bit. We are voracious travelers who want to soak in as much as possible so we pushed for a little more of the sites and he was accommodating. Very well spoken and knowledgeable . Wish we had more time in this port !! Wonderful and enthusiastic guide. Gaston loves birdwatching and loves sharing it. Also our ship arrived an hour early and after a quick phone call the day before he was waiting when our ship disembarked. Gaston was very nice and pleasant, quickly understood our focus areas and likes and designed the tour accordingly, and showed impressive command of the local flora and fauna. We had a great time! What a warm hearted and generous spirited young man. We really enjoyed being with Gaston and seeing all the natural beauty surrounding Ushuaia. The lookout views over the city were stunning! And his SUV was very comfortable. TOUR GUIDE RESPONSE: Thank you very much Jim! For me, a good tour guide is not necessarily the one who points out all the right things. It's all about making the visitor to your home city comfortable and happy while on the tour. Gaston has the ability to do that. Ushuaia is a very pretty city indeed and it was Gaston who took us 100 kms out to make it even prettier. Ushuaia is all about majestic, untouched natural beauty, and Gaston did his best to show off the city he lives in. He is full of humour, enthusiasm, flexible and helpful. Go for Gaston! TOUR GUIDE RESPONSE: Thank you for your wonderful kind comments.It was great having you here!! All the best! A great guide and a new friend,Gaston was prompt and accommodating. We so enjoyed his tour of Ushuaia,adapting his tour to our interests. Gaston Is exceptionally warm and friendly.His pride in his beautiful country translated to an outstanding tour for our group. TOUR GUIDE RESPONSE: Thank you!! It was great having you here! All the best!! You can't go wrong with Gaston.. His knowledge of the area is extensive.. He worked very well with our special needs and requests..
Gaston was greatly enjoyed by our family. He took us to several areas that a tour bus could not access. Gaston was always willing to stop for photos or scenic views, also waited during some shopping in town.I would highly recommend his tours. We had some confusion at the dock with a meeting point that was quickly resolved. Overall great day with Gaston. TOUR GUIDE RESPONSE: Thank you very much for your comment. It was great having you here Best for you and your family! We had a great time with Gaston! He was very conscientious in trying to get us to sites before the busloads arrived and although we didn't see many birds, he tried his best with his bird calls to get them to appear. We saw a lot in 5 hours and never felt rushed. Thanks for a fun day, Gaston!! TOUR GUIDE RESPONSE: Thanks very much!!! Gaston was very personable and enthusiastic. He conveyed a lot of information on a short tour of Ushuaia, Andes Mountain & Lakes. He speaks excellent English and makes the tour very interesting. I also like the fact that he was willing to modify the tour to suit the preferences of his passengers. If I return to Ushuaia I will definitely try to arrange another tour with him. Gaston was an excellent guide. He carried his own spotting scope and field guides. The spotting scope allowed us to see the birds up close (better than binoculars). He was also just as excited to see the birds as we were and gave us a check list of all the birds we spotted while on the tour so we didn't have to keep track while bird watching. We had a 20 month old with us and Gaston was very accommodating. From serious birders, to amateurs, this is a great tour for anyone wanting to see Tierra del Fuego. Gaston was a good guide but I thought the tour was overpriced. TOURSBYLOCALS RESPONSE: In Ushuaia, the living cost is much more higher than in the rest of the country. Gaston was an excellent guide. He explained many things about the National Park and took us on several short walks to see various sights. Several people in our group had limited mobility and Gaston arranged our walks to accommodate them. We saw several gray foxes and birds near the road and Gaston had the driver stop so we could take pictures. Gaston's enthusiasm for his tour soon spread to the whole group and all of us had a marvelous time! TOUR GUIDE RESPONSE: Thank you Carole I thoroughly enjoyed the tour with yourself and the rest of the group. Gaston was a knowledgeable, friendly, entertaining guide. He was flexible and clever in his planning, so he worked the day's activities around variables such as the weather, and the arrival of a large cruise ship.He pointed out interesting facts about the wildlife and plant life. He knew facts and figures on the local history, geography etc. We all had a wonderful day and would highly recommend Gaston and would definitely tour with him again if any of us are back in Ushuaia. Gaston was knowledgeable, interesting, informative and so pleasant to be with. We could not have been more pleased. Our tour was everything that was promised and customized to meet our needs. TOUR GUIDE RESPONSE: Thanks Harold!!! Gaston was knowledgeable about the plants and animals of the region and prepared a day's activities that allowed us to see the beauty of Ushuaia and understand it ecological importance. He was responsive to questions and provided important background about the distinctiveness of Patagonia. Gaston was a real pleasure to have as our guide! He was very very educated in all of the things that my kids and I were interested in -- nature, etc. He was also very flexible in the arrangements, which was great. TOUR GUIDE RESPONSE: Many thanks!!! We thoroughly enjoyed our tour with Gaston on a gorgeous day in Ushuaia. He was friendly, considerate and forthcoming when we asked him questions. His English was more than adequate for conversation and his vehicle was quite comfortable. We would certainly recommend him to future visitors to Ushuaia. Gaston was a delight --clear, informative and pleasant. He served not only as a guide but as a naturalist as well. Beautiful country and very knowledgable guide, he explained flora and wildlife and the history of Ushuaia. Gaston was very knowldegeable about his environment and very enjoyable to speak with. Our group had a wonderful time and loved the penguins. TOUR GUIDE RESPONSE: thank you very much!!!! We had a superb day with Gaston birding in the Tierra del Fuego NP. He picked us up on time from our hotel and drove us to some terrific spots in the park, away from the crowds, where he was able to show us some excellent birds including some endemics. Very pleasant company, excellent English language. Not a cheap day, but worth every cent and highly recommended. Gaston met us from the ship at Ushaia. We had a very interesting tour of the town, Tierra del Fuego and Ensenada. He was friendly, informative and helpful. We enjoyed our morning very much and would recommend him as a guide. TOUR GUIDE RESPONSE: Thank you for choosing me! Guide very nice and professional. He speaks very good English and is also an ornithologist. My partner and I spent yesterday with Gaston, and found him to be informative, personable, and ready to tailor the tour to our preferences. We chose to spend most of the day in the national park, where he was able to find things to delight us, including a tree full of parakeets and two varieties of ground orchid, along with other bird and plant species. We recommend him highly. TOUR GUIDE RESPONSE: It is a pleasure to receive these comments from the traveler. This encourage me to continue improving myself as a professional tourist guide. very polite, well mannered in addition to being very knowledgeable. His English was excellent and his vehicle was very clean and comfortable. This was the most expensive of all of our tours. Can anything be done to improve the cost. The cost of admission to Tierra del Fuego Park was costly ($21US pp) - an additional cost. TOUR GUIDE RESPONSE: I'm glad that you enjoyed your tour and thanks for the helpful feedback. For the future, I will make sure to have a short planning meeting at the start of each tour.